The Israeli bulldozers demolished on Wednesday two car-washes to the north of Jerusalem under the pretext of building without a permit. 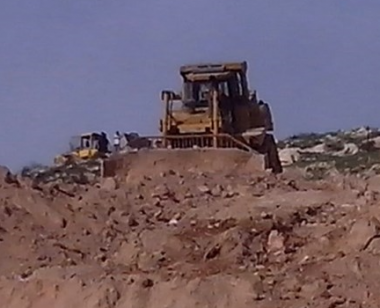 Nawal Barakat, al-Nabi Samuel Organization member, said that the Israeli occupation forces (IOF) escorted the Israeli bulldozers that razed a car-wash to the north of Nabi Samuel village. Quds Press quoted Barakat as saying that the car-wash belongs to her son Laith and constitutes his sole source of income along with four of his friends. She pointed out that the car-wash place was established two years ago and demolished four times. The Israeli occupation forces target Palestinians in Nabi Samwil village to pressure them to leave while the media outlets are ignoring the village suffering. In the same context, Ismail Abu Rabah, a resident of Khalaila suburb, told the Quds Press that the Israeli bulldozers demolished another car-wash belonging to Mahmoud Alqam. He pointed out that Alqam had appointed a lawyer to follow up a notification for the demolition of his car-wash but the Israeli bulldozers destroyed the place that provides the only sustenance for his family. The Israeli Occupation Forces (IOF) ordered Wednesday a Palestinian citizen in Yatta town, south of al-Khalil, to stop building his house. Coordinator for the anti-settlements committee in al-Khalil, Rateb Jbour, affirmed that the local resident Zuhair al-Qadi received an Israeli stop-building order against his house. Speaking to Quds Press, Jbour pointed out that al-Qadi was also forced to demolish a water well used for drinking and irrigation which he had built on his land in Khilat Ghazwa, south of the town. The Israeli demolition order came under the pretext that the two facilities were built in the Israeli-controlled Area C which makes up more than 60 percent of the area of the West Bank. Israeli soldiers also seized installations for solar panels in the village of Sousia, south of al-Khalil. 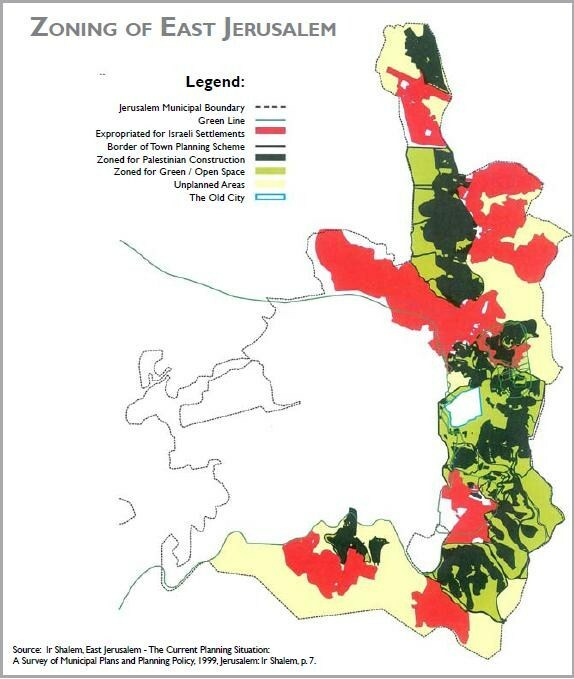 Jbour said that Israel’s practices against Palestinians came as part of its settlement expansion policy in the area. The Israeli “Construction and Planning Committee” of the Jerusalem City Council is set to discuss and approve, Wednesday, 20 new colonialist projects to be built in illegal colonies, commercial and tourist centers on Palestinian lands. 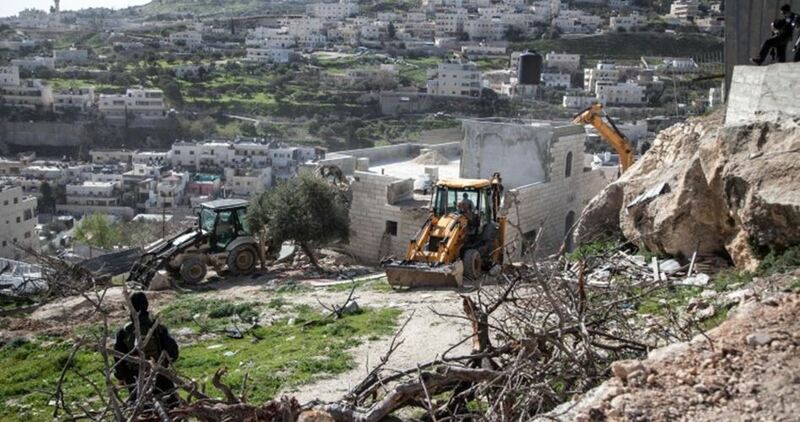 The largest project is the construction of a new settlement on the southern hills of Gilo illegal colony, close to the Annexation Wall, on Palestinian lands belonging to the Al-Walaja village, in Bethlehem, southeast of occupied Jerusalem. The plan includes constructing 770 new residential units in Gilo, in addition to tourist and commercial buildings, on approximately 142.846 Dunams of lands, while the constructions themselves will occupy around 98.927 square/meters. 3500 square/meters of them are set for tourism and hotels, 19.816 for public buildings, 73.788 for residential buildings, and 1050 for commercial structures. It also aims at constructing 891 buildings in Gilo, on approximately 269.411 Dunams. The City Council is also set to discuss more structures in Ramot illegal colony, north of occupied Jerusalem, on 15 Dunams of lands. It calls for constructing 156 residential units, including 112 that were previously approved. Furthermore, the Construction and Planning Committee will discuss building a large three-story synagogue in Jabal al-Mokabber Palestinian neighborhood, southeast of occupied Jerusalem, in an area that overlooks the Al-Aqsa Mosque and the Old City. The synagogue is planned to be built on 1.215 Dunams of Palestinian lands, with the total size of 1930 square/meters, that would be part of Nof Zion illegal colony, built on lands belonging to Jabal al-Mokabber Palestinian neighborhood. Furthermore, the Committee will be discussing increasing the number of buildings, including a synagogue, in Ramot Shlomo illegal colony, north of Jerusalem, on 4925 of Palestinian lands, while the buildings themselves would occupy 7611.78 Dunams of lands. Israel’s colonies in the occupied West Bank, including East Jerusalem, are illegal under International Law, and the Fourth Geneva Convention to which Israeli is a signatory and a constant violator. 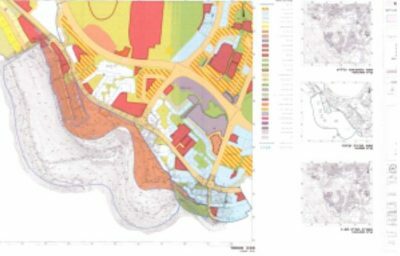 The Palestinians are constantly losing more lands to these illegal constructions, and remain denied access to large areas of agricultural lands, isolated behind the Annexation Wall. Israeli soldiers invaded, Tuesday, Fasayel village, north of the West Bank city of Jericho, and demolished several residential sheds. Several army vehicles and bulldozers invaded the village after surrounding it, and demolished residential sheds belonging to residents Abdul-Hadi Ali Obeyyat, Adnan Ibrahim Abu Kharabeesh, Zeid Mahmoud Abu Kharabeesh. After the invasion and destruction of the properties, a committee composed of Sabah Abu Rashed, the head of the Economy Department in the Jericho District, Mos’ab Thafer, the representatives of the International Red Cross, Raed al-Qatrawi, the representative of the Red Crescent, and Ismael Abu Kharabeesh, the representative of the Local Council, visited the site, to estimate the damages and attempt to find alternatives. The Israeli Knesset approved late Monday the controversial settlement bill which would recognize West Bank settlement outposts built on Palestinian private lands. The bill, passing with 60 voting in favor and 49 against, would see thousands of dunums of privately-owned Palestinian land seized and dozens of illegal Israeli outposts in the occupied West Bank retroactively legalized. However, the bill would not be applicable to Amona. A clause demanding that the symbolic Amona outpost be retroactively legalized was removed from the bill, according to Israeli media sources. 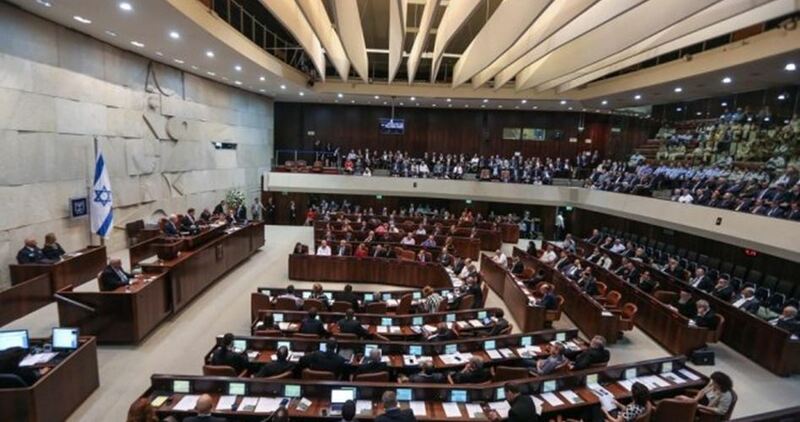 Following the vote, the bill will be brought to a first reading in the Knesset on Tuesday. The revised version allows the "state of Israel" to give settlers “usage rights” to privately-owned Palestinian land, but not ownership rights, while Palestinians who can prove ownership of land would receive “compensation,” according to the Hebrew daily Haaretz. UN Special Coordinator for the Middle East Peace Process Nickolay Mladenov reacted immediately to the passage of the bill, saying that the bill will annex parts of the West Bank to Israel. Such steps would undermine any chance for peace, he added. Human rights groups and international leaders have strongly condemned Israel’s settlement construction, saying it is a strategic maneuver to prevent the establishment of a contiguous, independent Palestinian state by changing the facts on the ground. Two Palestinian brothers, along with their wives and children, lost their homes Tuesday when Israeli forces demolished their homes under the pretext of ‘lacking a construction permit’. Israeli authorities frequently use this pretext for demolishing Palestinian homes, despite the fact that Israel has not issued any construction permits for Palestinian homes since 1967, when it took over control of Jerusalem. The homes were attached to each other, and the entire building containing the two homes was around 300 square meters. 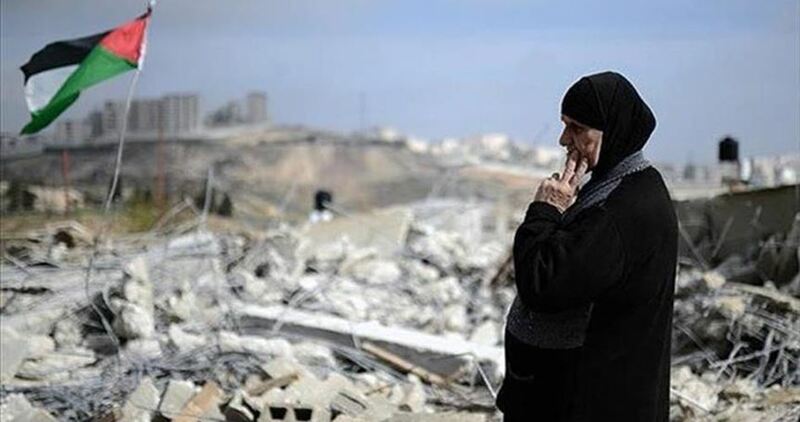 Initially, Israeli authorities issued a demolition order to Said Abbasi, requiring him to demolish his own home. And even though Abbasi was attempting to carry out that order, and had begun the demolition, Israeli authorities determined that he was not doing it fast enough, and brought in their own demolition crew. Abbasi will now be charged the extremely high fee of the demolition by Israeli authorities, in addition to having lost his family’s home. The building was located in the Silwan neighborhood in East Jerusalem, an area that has been specifically and repeatedly targeted for demolition orders by Israeli authorities. In October, a family of 30 people was rendered homeless in Silwan when Israeli authorities destroyed their home. Dozens of homes have been destroyed this year, and in April the Israeli authorities demolished a children’s playground. The destruction of homes in Silwan has continued unabated since 2010, when the Israeli Jerusalem municipality released its “master plan” for East Jerusalem, which included the expulsion of thousands of Palestinian residents from their homes and the takeover of their land for Jewish-only settlements and Israeli-government owned tourism sites. According to the United Nations, the destruction of Palestinian homes in East Jerusalem accelerated sharply in 2016 – by the start of August 2016, 614 Palestinian structures were demolished in the West Bank and 112 in East Jerusalem. The total for all of 2015 was 447 and 74 in East Jerusalem. The Palestinian Prisoners Society (PPS) has reported that Israeli soldiers abducted, on Tuesday at dawn, at least ten Palestinians in different parts of the occupied West Bank. On Monday evening, the soldiers abducted a merchant from Gaza, while crossing the Erez terminal. In Bethlehem, the soldiers invaded Deheishe refugee camp, south of the city, searched homes and abducted Abdullah Ammar Raqban, 22, while Mohammad Ibrahim al-Kurdi was abducted from his home in ‘Aida refugee camp, north of the city. 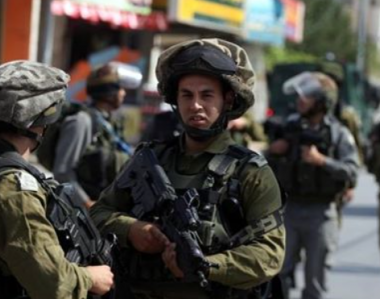 In Hebron, in the southern part of the West Bank, the soldiers abducted a former political prisoner, identified as Rezeq Rajoub, from Doura town, south of the city. The Hebron office of the PPS said Deikat’s abduction, came just two weeks after he served a two-year imprisonment sentence, and that he spent a total of 23 years in Israeli prisons, in previous abductions. Also in Hebron, the soldiers invaded, and violently searched many homes in Ethna town, south of Hebron, abducted Jibrin Thiab al-Jeyyawi, 58, and illegally confiscating cash and gold from his home. The Nablus office of the Palestinian Prisoners Society (PPS), in the northern part of the West Bank, said the soldiers searched many homes in the district, and abducted six Palestinians. They have been identified as Elias Dweikat, Ammar Dweikat, ‘Ahed Sarhan Dweikat, Montaser Sarhan Dweikat, Mohammad Mazen Dweikat and Saed Nabil Dweikat. On Monday at night, the soldiers invaded a home, owned by Yasser Mizher, in the northern part of Silwad town, northeast of Ramallah, and turned it into a military post and a monitoring tower. The soldiers said they want to monitor a bypass road, used by Israeli colonist, and passes near the mentioned property. Silwad has been subject to ongoing invasionz and violations, while the soldiers also detained and interrogated many Palestinians, including several children. On Monday evening, the soldiers abducted a Palestinian merchant, identified as Hisham Abu Zayed, after interrogating him for several hours while trying to cross the Erez border terminal, in the northern part of the Gaza Strip. Abu Zayed was returning home when the soldiers abducted him, and was taken to an unknown destination. It is worth mentioning that the Israeli army have abducted twenty merchants from Gaza, since the beginning of this year. 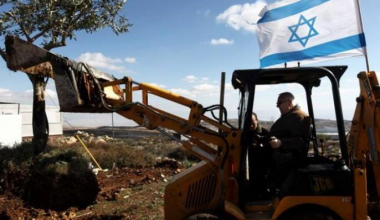 Several illegal Israeli colonists bulldozed and uprooted, on Tuesday morning, more than 40 Dunams of Palestinian agricultural lands, in Ein Jaloud village, south of the northern West Bank city of Nablus. Ghassan Daghlas, a Palestinian official in charge of settlement’s files in the northern part of the West Bank, said the colonists used various bulldozers to uproot the lands, located in the eastern area of the village. Daghlas added that the lands are also only 40 meters from an Israeli colony, known as Yesh Kodesh, illegally built on Palestinian lands. On Monday evening, the soldiers invaded the lands and confiscated keys of many Palestinian tractors, before allowing the illegal colonists to invade and uproot several areas.